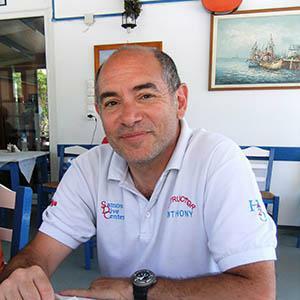 Hi, I am Antonis owner of the dive center. My first dive certificate I obtained in 1978 and I have been diving ever since. 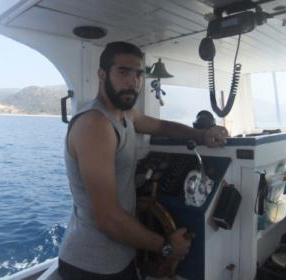 I am also a commercial diver since 2002, and between the both I have logged over 5,000 dives. I became a PADI instructor in 2007 and the next year a MSDT. I hope to meet you at the dive center to discuss your personal needs in diving or snorkelling. My team and I will try to see that your diving and snorkelling experience is SAFE and FUN. 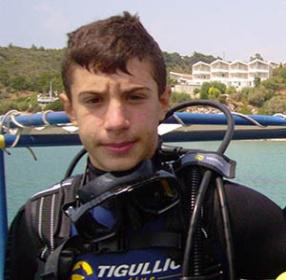 My sons are divers and you will find them on the boat or at the dive center to help you out. 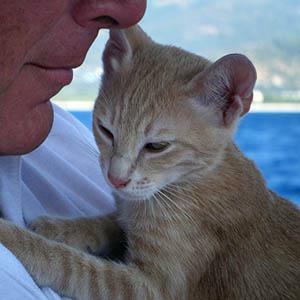 Plora the boat cat will welcome you on the boat every morning and if he feels like it he will come along with us for the trip.